Since your home is a system, every part of that system plays a role that affects the rest of the structure. If your crawl space begins to rot, grow mold, or experience structural problems, this will in-turn affect every part of your home. At McInroy Basement Systems, we fix all types of crawl space problems imaginable. We offer free crawl space repair quotes in the South Eastern Ontario area. If you're having a problem with your crawl space, you've come to the right place. At McInroy Basement Systems, we specialize in crawl space problems of all types. Whatever your issue may be, we have the products and experience that is needed to help you find the best solution. Crawl space repair will help you avoid unnecessary repairs, create a healthier living space, and save money on your utility bills. And once you've encapsulated your crawl space with a vapor barrier, you will have gained an extra storage space in your home. At McInroy Basement Systems we use and recommend products developed by the Basement Systems® International network of waterproofing contractors. In business since 1987, Basement Systems® operates a full Research and Development department, constantly searching the industry for the best, most proven products for lasting crawl space solutions. Your free crawl space repair quote includes an on-site inspection, professional consultation, and written quote. Before your free quote, we will send you a copy of our full-color Crawl Space Science Book. Our book includes 88 pages of information on crawl space issues, how they're solved, and what our products can do for you and your home. 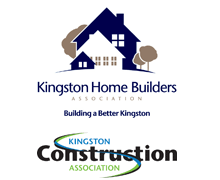 Serving Belleville, Kingston, Picton and areas nearby! Call or e-mail us today to get started! We are so pleased with the work done. We don't have any water problems any more.